Learn which weapons are the best statistically. Respawn Entertainment’s Apex Legends has been one of the most popular games in the world during its launch week—and it hasn’t shown any signs of slowing down yet. Although the game has seen immediate success, surpassing 10 million players in its first three days, people are still trying to get a feel for the game. There are several different weapons to choose from, and players want to figure out which ones are the strongest. 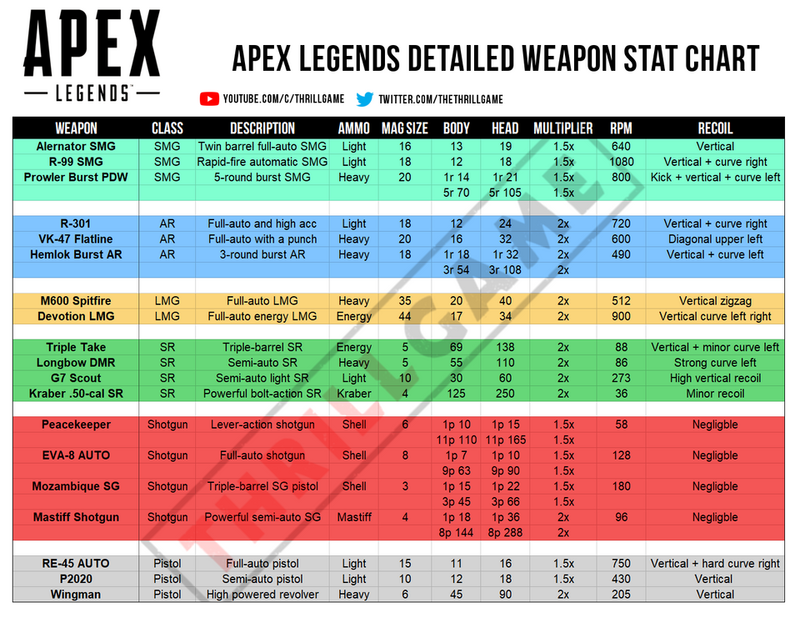 Well, Reddit user ThrillGame put together a detailed chart of statistics for all of the weapons in Apex Legends. The chart breaks down the guns into the game’s six weapon classes: Submachine guns, assault rifles, light machine guns, sniper rifles, shotguns, and pistols. Then, it provides a description of the gun, what ammo it takes, how much damage it deals, and its recoil pattern. Based on this chart, the Prowler Burst PDW is the strongest SMG in terms of damage dealt per bullet to an enemy’s body and head. For assault rifles, the Hemlok Burst AR and VK-47 Flatline both deal 32 damage per bullet to an opponent’s head, but the Hemlok narrowly beats out the Flatline in body damage. The M600 Spitfire is slightly stronger than the Devotion LMG, while the Kraber .50-cal is by far the most powerful sniper in Apex Legends. For shotguns, the Mastiff and Peacekeeper both deal a lot of damage if you hit all of your pellets, and the Wingman is easily the strongest pistol in the game. 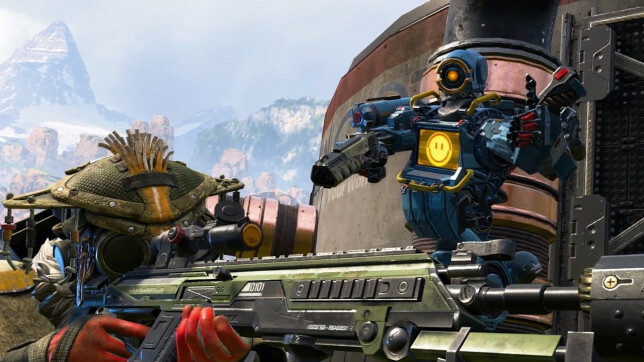 These weapon statistics could change if Respawn decides to nerf or buff certain guns—but right now, it’s pretty clear which weapons are the strongest in the first week of Apex Legends.